How cute! The Shiba-Inu had a puppy! The cute puppy loves to snuggle up close to its mother in the dog included basket. He managed to wobble a few steps out of the basket, but his mother doesn’t let the clumsy rascal out of her sight. Even the tasty bone can't distract her! 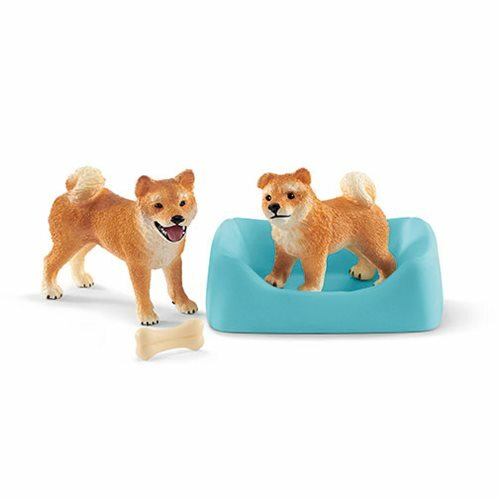 The Schleich figurines in this Shiba Inu Mother and Puppy Set are modeled in fine detail and lovingly painted. They encourage children to play and learn at the same time.